The residents of Fremont, Nebraska have once again confirmed their desire for landlords to police illegal immigrants. After an immigration measure was passed in 2010, some city officials questioned whether it was feasible for the city to enforce, too costly to defend in court, or whether it sent the wrong message to outsiders. Those doubts led to a second public vote on the law. This week, the ordinance passed again, by a nearly 60% majority, according to a news report. The law requires prospective renters to apply for a permit, pay a fee, and attest to their legal status each time they move. Landlords who do not check permits can be fined $100, according to the report. Proponents told reporters they hope the law will increase pressure on the federal government to take a stand on illegal immigration. It is likely the measure will be challenged by civil rights groups who say the results are discriminatory and targeted against Hispanics. 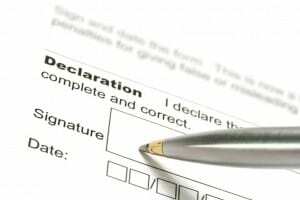 The rules require anyone who rents a home or apartment in the city to apply for a $5 permit and attest to their legal status, but there is no mandate to show proof. New permits are needed every time a tenant moves, and landlords are required to make sure their tenants have permits or face a $100 fine, according to the report.